After nearly four decades in aerospace and defence industry management roles Barry Capp turned his attention to help sort out deteriorating Lake District fell paths. That was nine years ago. Since then he has completed at least one mission a week, notching up over 2,000km of work over 1,000 days, earning himself a prestigious volunteer award from the Lake District National Park. While the Ulverston champion says it is very much a team effort, Fix the Fells ranger, Richard Fox, described Barry’s contributions as exceptional. 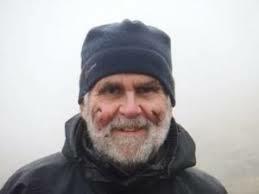 “In giving Barry the Bryan Stilling Award for significant and outstanding services to the Lake District National Park, we have also recognised his excellent leadership skills, pin-sharp, organised mind and amazing computer skills. “He has constantly looked at ways to improve the programme and was instrumental in forming the Fix the Fells management group. It’s fitting Barry has been given this award during the lengthsman scheme’s 10th anniversary. Victim to millions of feet and erosion, fell paths have long needed major repair and upkeep. Fix the Fells has restored over 200 sections, with another 120 scheduled in the coming years. From leading guided walks to repairing and maintaining the network of paths, the National Park’s band of 500 dedicated volunteers provide an invaluable contribution towards the enjoyment of the UK’s latest World Heritage Site. Barry decided to join up after hearing a radio piece saying volunteers were needed to help with fell path maintenance. Barry is a volunteer lengthsman, the traditional name for someone who maintains and repairs parish roads, byways and paths. He says Fix the Fells is crucial as it is the only organisation solely focused on Lakes’ hill routes.